Once upon a time, in a not-so-far-away land, social media was not so commonplace. It may have been on the scene for a few years, but it was still pretty strange to all of us. Our companies slowly started adopting it as a way to connect with candidates, or maybe just as a way to have a presence where we knew we needed one but weren’t sure what to do with it. Over time, we became better acquainted with everything it could do for us and how it really could make a difference in recruiting and hiring. It was then that we also realized we would need to measure how effective it is in order to not only justify the time we spent on it but also to justify the investment we were making to our managers and executives. Luckily for us, these social media sites made it relatively simple for us to see the impact we were making. Likes, retweets, shares, +1s – they helped us see how many people we were connecting with. But what they didn’t show was the important aspects of our social media – how and why people were connecting with us, their level of engagement, the value they’re getting from connecting with us and the value we’re seeing from connecting with them. Why new metrics and why now? It’s not just that the need for more in-depth metrics has grown but it’s also that the way people in general are using social media is changing every day. Even I use it much differently than I did five years ago. I utilize them to learn, read and connect, which is the same things that millions of people use them for today. Even a few years ago, social interaction was much more on the surface than it is today. The important thing five years ago was to have a social presence. 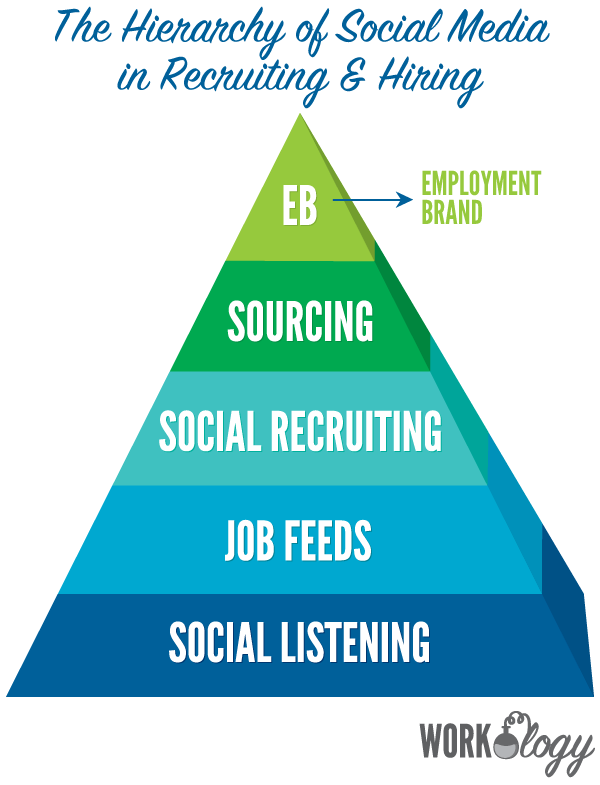 Now, there is an entire hierarchy of social media recruiting and hiring, which includes leveraging your employment brand, sourcing talent through social, actively engaging in social recruiting, utilizing job feeds and setting aside time for social listening. Since we have turned social media into an enormous tool for recruiting, then we should also have metrics to tell us how well we are utilizing that tool. We know by now that a “like” doesn’t exactly equal connecting with a candidate. 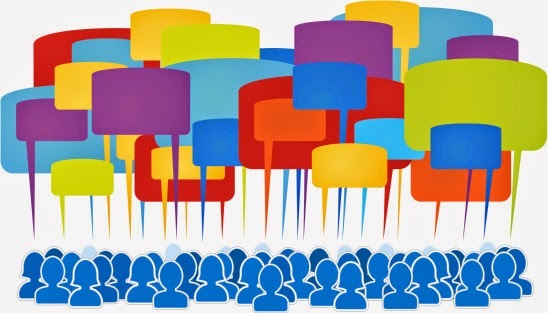 In order to connect, we must create social activities that focus on serving and engaging with candidates. A RSS or XML feed of your job postings is one of the most basic and essential elements. Use social to your advantage by leveraging it to share how your company culture sets you apart as an employer of choice. Maybe rather than focusing on broad social efforts and connecting with many candidates, you are focused on finding that purple squirrel engineer at just the right time. This aspect is complex and involves multi-faceted moving parts. The most important part however, is that your employee brand ambassadors are at the heart of the strategy. When you know what the key aspects of your strategy are, you’ll be ready to outline what metrics are needed to measure those. Stay tuned for part two of “How to Effectively Measure Your Social Recruiting Campaigns” to see how to measure specific aspects of your campaign within these strategies. By just 1942, utilizing the globe for world war, Breitling widened a curriculum vitae by just delivering pieces that will chanel outlet any North american armed forces in the process. All over the forties together with fifties, the provider went on that will innovate, for Willy Breitling's helm. During 1962, the provider constructed story mainly because astronaut Scott Carpenter donned a good Breitling watch fake rolex up to speed any Aurora 7 room or space container. During 1969, the provider constructed story yet again, as they definitely manufactured together with revealed a good self-winding chronograph exercise, a good practical victory which had been a leading advancement for your Swiss watchmaking community. During 1979, Willy Breitling flushed any torch to louis vuitton replica sale Ernest Schneider, a good preliminary together with electronic products medical specialist, what person consequently has become the company's standard, beginning a variety of different pieces in the next decades and further cementing Breitling's success in the business. By way of the year or so 2000, with a hundred years once Leon Breitling have open a tiny company during the Swiss Alps, the provider changed towards a different head office during Grenchen, Switzerland, which unfortunately boast an advanced fake rolex maintenance setting up together with modern construction machine, the place most of Breitling pieces happen to be created after which you can brought that will vendors. The company's capacity always keep details Swiss constructed together with finished in-house has established a good cult-like adhering to to your type, whoever breitling replica sale users be certain that Breitling continues to be appears any collection relating to comfort watchmakers.